MAC is one of the most well-known makeup brands, especially for its wide range of lipsticks. It is undoubtedly more expensive than high street makeup companies, and for this reason many people are lured into buying Mac products from websites such as Ebay and Ioffer for lower prices. Moreover, in some countries (like mine) products like Mac aren't sold so to get your hands on them you must resort to buying them online. The sad truth is that if it's cheap than in most cases it is fake. 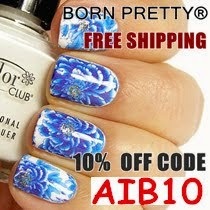 You have to be extremely careful when buying high end products off the internet, especially if you're not buying them from the company's website. Are you able to recognise which is fake and which is not? The main difference in its packaging is the label. The original lipstick has its name printed on (Russian Red), while the other has just a sticker. The fake one is slightly wider than the original. The label is also smaller, and it doesn't have the 'finish' of the lipstick (on the original there is 'Matte'). The sticker on the fake one is also smaller and a different colour to the original one. The fake lipstick is also slightly larger (fake on the right). You can also easily distinguish between the two of them by checking out the print on the lipstick's cover. Originals shouldn't rub off or get scratched. The fake's font is also slightly thicker when compared to the original. Here you can note the difference between the logo print on the inner part of the lipstick of the original vs. fake: the fake one is larger and printed higher up on the tube. Moreover, even though you can't tell from the photo, the finish of the outer tube is slightly different - the original is more smooth. Another difference is that the real MAC feels a lot more heavy when you pick both of them up. Another thing is the smell: the original Mac lipsticks have a light sweet vanilla smell, the fake smells plastic-y. Something else I noticed is that when I tried comparing the swatch of the fake lipstick with the original 'Kraft' swatches on the internet, they didn't match. I love MAC! Thanks for visit my blog! Wow, great post, I never buy MAC online because I am so afraid of being scammed- even looking at your photos, I couldn't quite tell the difference in the first few pictures! Thanks! Hi, I have taken a good look at the products and they sound too good to be true! But in reality I cannot tell if they're real or fake from the pictures posted on the website, guess you'll have to buy one and see for yourself. Sorry I couldn't be of better help. http://www.bananapowder.online/ just looking at all the reviews as interested in trying this popular product. I hear it helps give a flawless finish,as well as contouring etc. Just concerned about yellow shade.